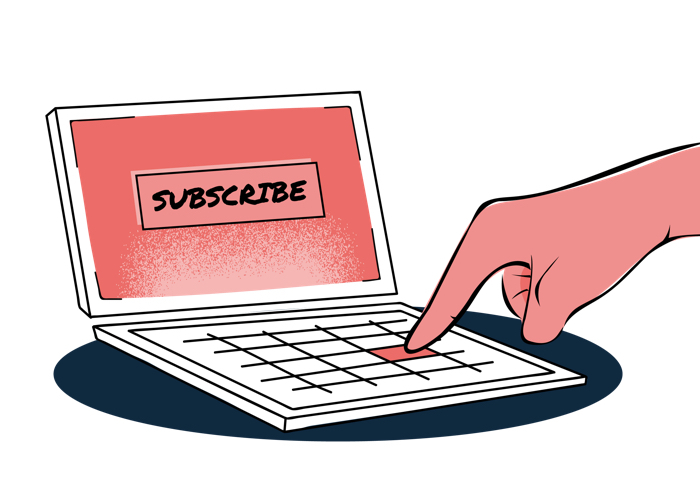 Whether it’s your weekly email from Lululemon with the latest workout gear or a monthly recap from your business coaching hero, it’s likely that you have a few email newsletters you subscribe to and enjoy reading every week. With 70 percent of consumers reporting that “they always (ALWAYS) open emails from their favorite brands,” newsletters are a great way for businesses to stay top-of-mind with clients who have shown interest in their product — and you can implement one in your business too. Why Invest in Newsletter Campaigns? Adding a newsletter to your marketing strategy is a great way to keep in touch and build relationships with your contacts on a regular basis. Unlike regular social media posts that are only seen by about 6% of your followers because “there are simply too many updates to fit on an average news feed,” Agency Analytics says newsletters sit in your contacts’ inboxes waiting to be opened and won’t disappear over time. It’s no wonder, then, that more than 80 percent of marketers are already using newsletters to share their valuable content. It’s a win-win: You get clicks, views and overall boosted performance, and your contacts get relevant and helpful information delivered right to their inbox. When deciding how often you’ll send out your newsletter, it’s important to first consider how much content your brand produces and how much news it has to share. If you’re releasing multiple new pieces or products per week, it would be worth your time to use a weekly newsletter to get eyes on it. If you’re not producing an abundance of content each week, a monthly newsletter might be a better fit. If you really want to take advantage of the lead nurturing benefits of newsletters, you can work both a weekly and monthly newsletter into your strategy. For example, let’s say you’re a lifestyle coach and you create two new videos and articles per week. You could send your newest content in a newsletter every Monday and, at the beginning of each month, send an email with only your top-performing pieces of content from the previous month. Word to the wise: Keep promotional content in your newsletters to a minimum. The more you stick to valuable content for your list, the more likely they are to stay subscribed and continue to open your emails. 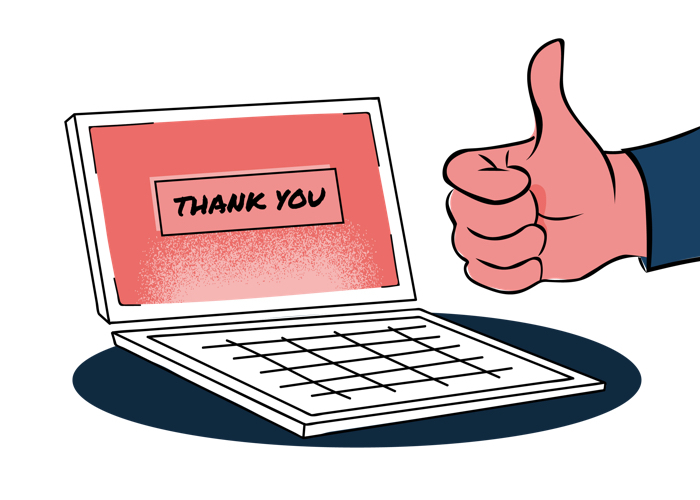 As subscribers opt in for your newsletter, let them know their sign-up was successful with a welcome email that thanks them for subscribing and introduces them to your brand. This email is a one-time message with short copy that builds trust and shows your subscribers not only that they’ve been added to your campaign, but that you’re glad they’ve joined your community. To create a sense of consistency for both you and your list, it’s important to find a specific day of the week and time of day when your newsletter arrives in your subscribers’ inboxes. Because the best send time can differ depending on your audience, industry and type of content, try split testing until you find a winning combination. Then, to keep the time consistent across your list, use your email service provider system to set a send time specific to the contacts’ time zones, so that a message scheduled at 11 A.M. PT, for example, doesn’t deliver at 1 P.M. ET to your New York subscribers. Once you find a date and time combination that works, you can use it as a control for future copy and design split testing. To have an accurate measure of how well your email copy and design are doing, you should be able to rule out date and time as a factor. As you deliver your newsletter over time, a great way to keep engagement up is by tailoring your copy and design to your subscribers’ interests. 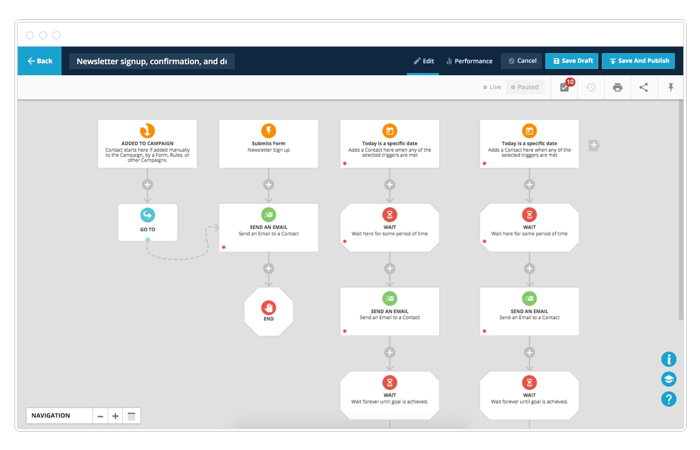 To discover what works and what doesn’t with your email copy, try split testing and optimizing your content. Split testing is a process where you pit two versions of your newsletter against one another — sending one version to one portion of your audience and another version to another set of your audience — to see which performs better. Split testing isn’t complete without a measurement of success, and one of the best ways to keep track of your test winners is by setting relevant, attainable campaign goals based on your overall business goals. If you keep your business goals in mind when looking at your data, you’ll be able to better understand whether your newsletter campaign is effective. Why am I sending out these newsletter emails in the first place? What do I hope to gain from them? If I don’t achieve that goal with these emails, are they still a success? Chances are, your ultimate goal is to generate sales and revenue with your newsletter campaign. If that’s the case, you’ll want to focus on conversions rather than email opens or clicks. Within your email tracking tool, you can regularly check in on your campaign numbers. As you find out that certain types of copy and design perform better than others for your particular goals, you can optimize all future messages accordingly. Even if your list looks perfect at one point, people shut down or abandon email addresses over time, making your messages undeliverable to those contacts. If you have too many undeliverable emails and an inactive list, you’ll start to trigger spam filters, causing your deliverability and open rates to fall even further. Another way to maintain your newsletter is by trimming contacts from your list who haven’t recently engaged with your messages. By scheduling a list cleaning once or twice a year, you’ll know that your emails are only going to engaged contacts, lowering the likelihood of ending up with inactive addresses on your list. Once you add these seven best practices to your newsletter strategy, you’ll be able to plan and map your weekly or monthly newsletter campaign and get started. 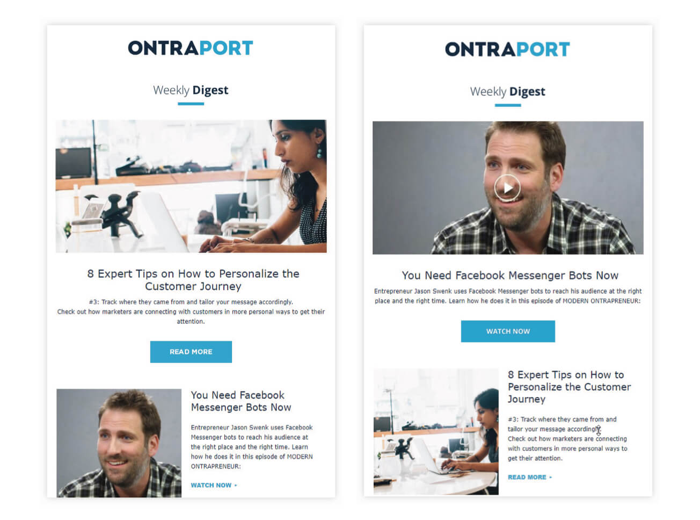 If you have an ONTRAPORT account, you can find a templated version of this campaign called “Newsletter signup, confirmation and delivery” and fill in each step.